So often in municipal government services, there are connection points; some that at first glance might not be obvious, while others are. That’s the case with our dedicated firefighters’ comprehensive training initiatives. The obvious goals and benefits of their ongoing training are increased skill building and enhanced safety. You may have read recently about our fire officials’ purchase of a new training center located at the Street Department’s garage property on Bluff Road. Last October, Fire Chief Terry Anderson received two forty-foot shipping containers retrofitted into a training center by American Fire Training Systems out of Lemont, Illinois. Costing approximately $66,000 and paid for with surplus funds from the sale of an old ladder truck and monies from fire hydrant maintenance throughout the community, the center already has been put to great use. Taking advantage of props within the center that allow for training on search, forcible entry, ventilation, firefighter safety and survival and a burn room for “live fire” training, the facility is invaluable to help our firefighters remain current on all training standards. The center serves as a critically important resource for firefighters to continually sharpen their skills to help keep them and those they serve as safe as possible. All that skill building in addition to training on active shooter incidents, water and rope rescue scenarios, learning basic defensive tactics (in light of violent encounters in emergency scenes nationwide), a Wildland Fire Chainsaw Course (fires in significant woods and where burned trees need to be removed for safety reasons), adds up to a robust training program. Soon firefighters will begin pre-incident planning for buildings citywide to determine factors such as type of building construction, type of roof, utility connections and hazardous materials storage for those structures. Those are some of the obvious benefits of firefighters’ training. 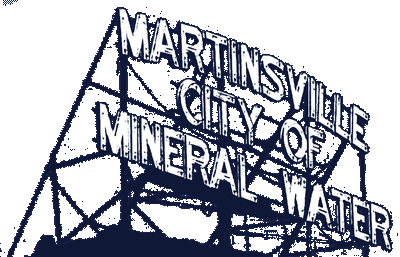 What may not be so evident, but certainly is directly connected is that their continuous training impacts Martinsville’s Insurance Service Office (ISO) rating. Communities are rated 1-10 by the ISO, with a “1” being the best. A city’s ISO rating affects property insurance premiums and those directly impact you as a homeowner. Lower insurance premiums relate to positive economic development and communities’ overall growth. The ISO conducts rating audits every five years, with Martinsville’s last one completed in the summer of 2012, so our next review is coming up. In 2012, our ISO classification dropped from a six to a five. However, the Fire Department lost several credits due to the lack of training as well as not having a training center. The ISO considers such training factors as facilities and aids, drills, classes for officers, driver and operator training, recruit training, pre-fire planning inspections and recordkeeping. With our firefighters’ strong focus on internal and external training the past couple of years, along with automatic aid from our surrounding departments and the new training center, we are hopeful our ISO rating will improve and subsequently enhance the economic development health of our community. There you have it: the not-so-obvious, but certainly important connection between firefighters’ training and the improved economic strength and appeal of our city.